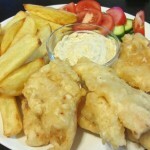 Fish and chips - a traditional English dish. Fish coated in a crisp coating and deep-fried with chips. The fish used in this recipe is cod. 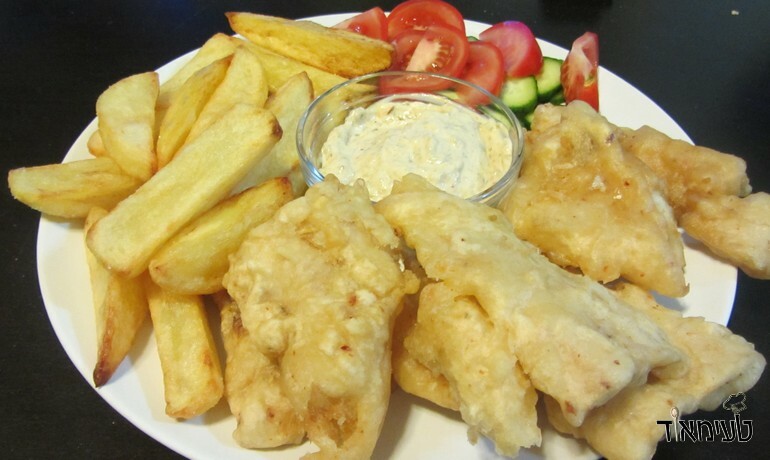 You can find the perfect recipe for potato chips fish and chips here. 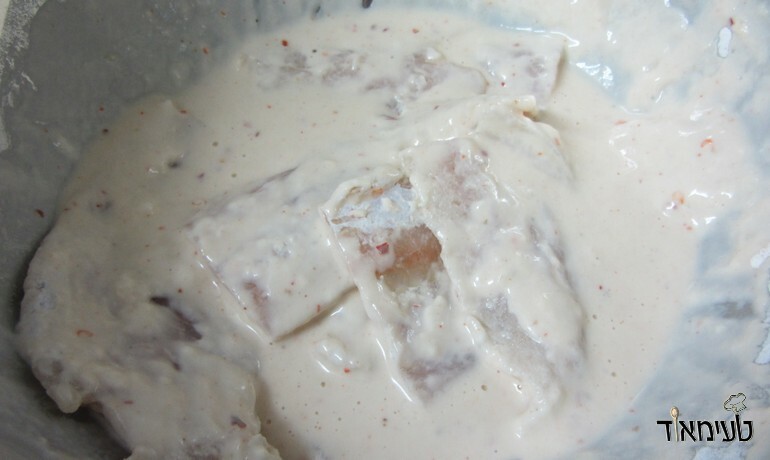 Tartar sauce recipe can be found here. Cod Fish Fillets - You can buy in any 7/11 - Thaw before use! 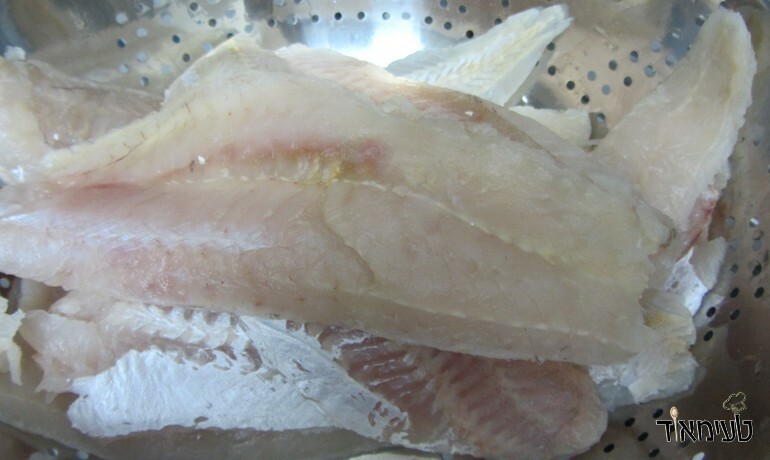 Lightly clean the fish from any bones, leftover edges and everything not fish! At this point, dry the fish as much as possible. If it’s a long fish – you can and should cut them in half. 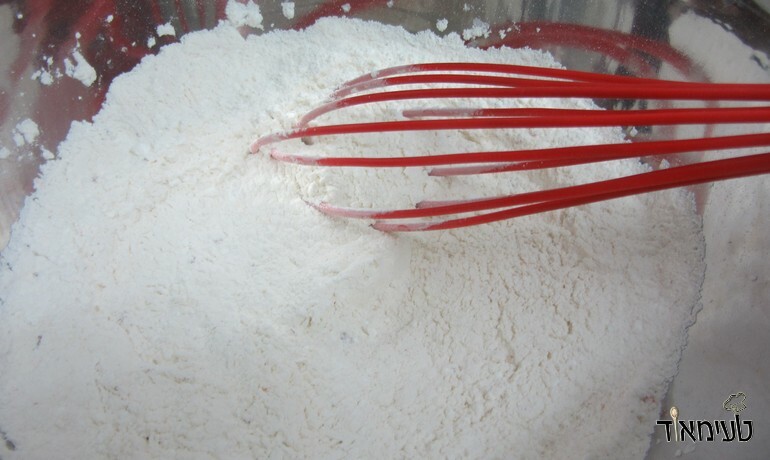 In a large bowl mix the flour, cornstarch, salt, paprika, chili and black pepper. Transfer a quarter to a broad plate. 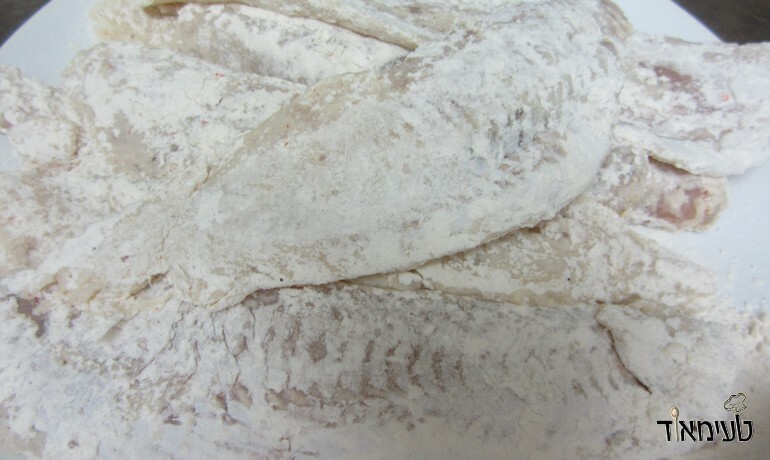 Coat all the fish in flour on all sides. And place on a plate. 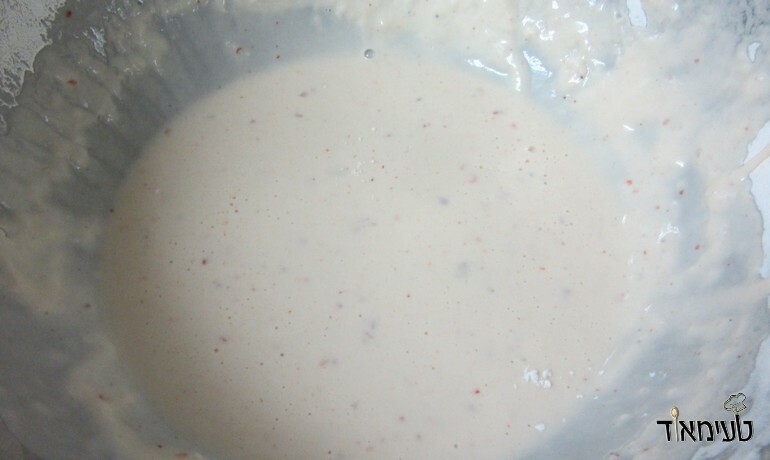 In a bowl - Add the left over coating and add the baking powder. Gradually add the beer to the bowl, stirring with a whisk until a smooth, thick paste (one that does not stay on the whisk - but not watery either!). Any beer left? Drink up! 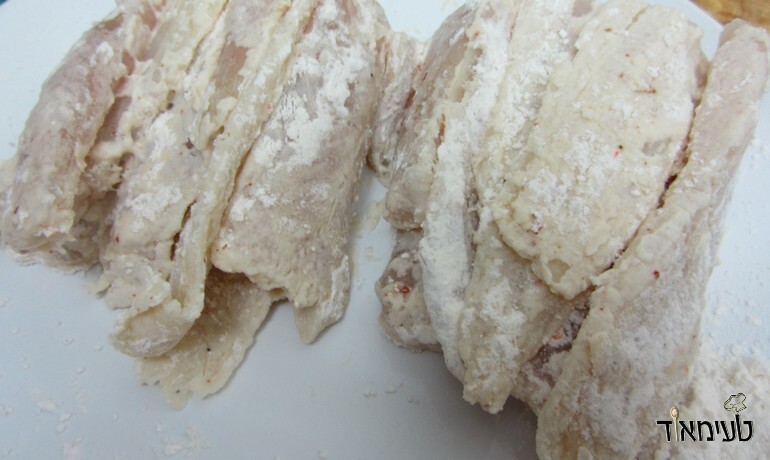 Take all the coated fish fillets – Place them in a bowl of batter and using your hands, make sure they are completely covered! When the oil is boiling – a few at a time, place the fish and fry until golden brown. Serve with fries, tartar sauce and vegetables.